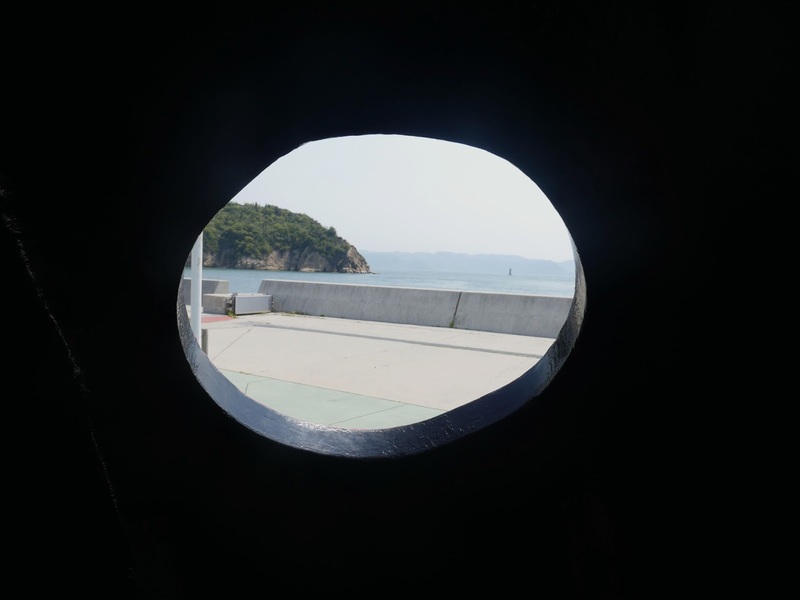 Visiting the art island of Naoshima was one of those days that, looking back on it, felt like a dream. After figuring out how to get to Naoshima, I left the picturesque seaside town of Miyajima to take the train to Hiroshima, changed to the Okayama bound train and finally arrived at Uno station. Relieved to move my legs after the two hour journey, I walked out of Uno station and located the ferry port that would transport me to the island of Naoshima. I walked to the ferry terminal, assuming that soon enough I'd be on my way to the island. However, I found out pretty quickly that the ferry to take me and the other visitors at the terminal wasn't arriving for another two hours, and additionally, only one of the six galleries was open that day. Disappointed and unsure what to do, I left the terminal to explore the seaside town of Uno. Ten uneventful minutes later and I felt like I'd explored it all, especially since nothing was open that day. Reluctantly, I decided to give up and go to Tokyo earlier than planned. I walked back to Uno station and checked when the next train was. 45 minutes flashed on the screen. "Today is just not meant to be," I thought to myself. The only realistic option was to keep walking around the town and make the most of it. I walked in the direction of the water, guided by no real reason except that I felt I should go that way. In the distance I saw a large boat. 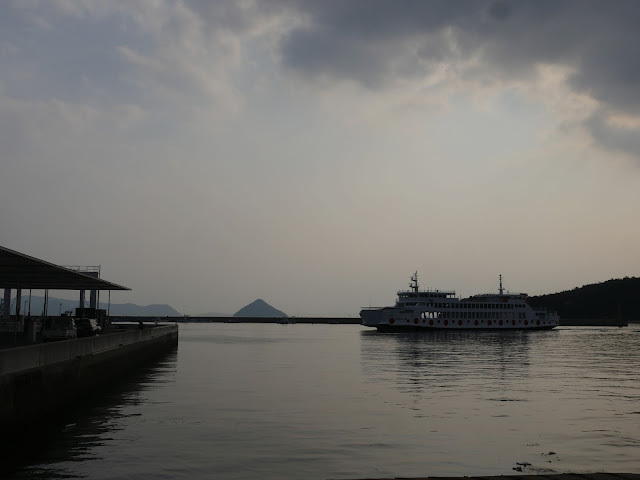 By chance, I'd stumbled upon another ferry company providing rides to Naoshima. It was boarding shortly so I bought a ticket and walked into the unexpected ferry, watching out the window as the boat sped through the water and the waves bounced up beneath it. When I arrived at the island I was confused by what I saw. Naoshima looked like nothing special. "Where's the art? ", I thought. Relieved, I noticed by the water what I'd hoped to see, one of Yayoi Kusama's, a celebrated Japanese artist, iconic pumpkin sculptures. A beacon of hope that the island was going to live up to my (high) expectations. Now all I had to figure out was how to get from this red pumpkin to the more well known Yellow Pumpkin, as well as the only gallery open that day, the Benesse Art Site. 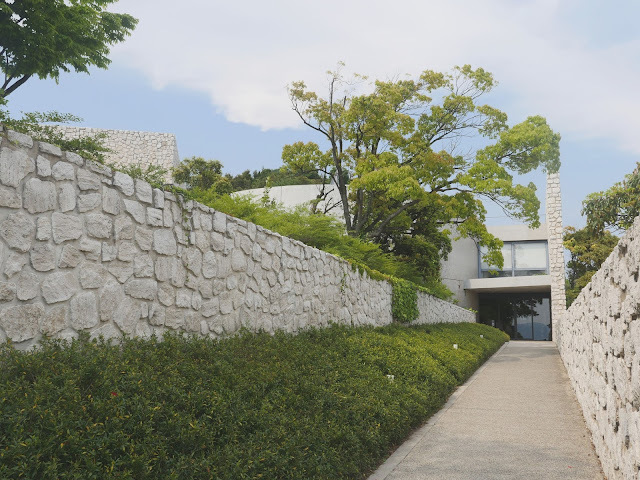 A gallery known for its contemporary art. I realised it would around 45 minutes to walk to the gallery. Time was limited on the island. If I spent almost two hours getting there and back, I would't have much time at the museum. 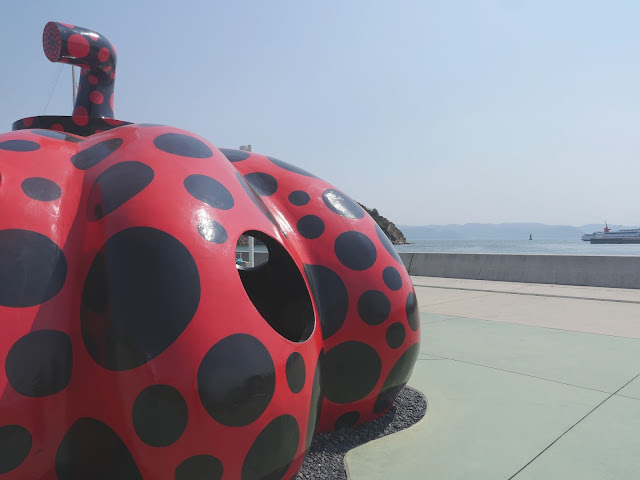 Luckily, out of the corner of my eye I saw a bus covered in polka dots and yellow pumpkins, iconic of the artist Yayoi Kusama's colourful and eclectic art work. A sign. I walked towards the bus, and without knowing if it was going in the right direction, I payed the 100 yen fare (~$1)and found a seat. A slow meandering bus ride later, I disembarked the polka dot bus. 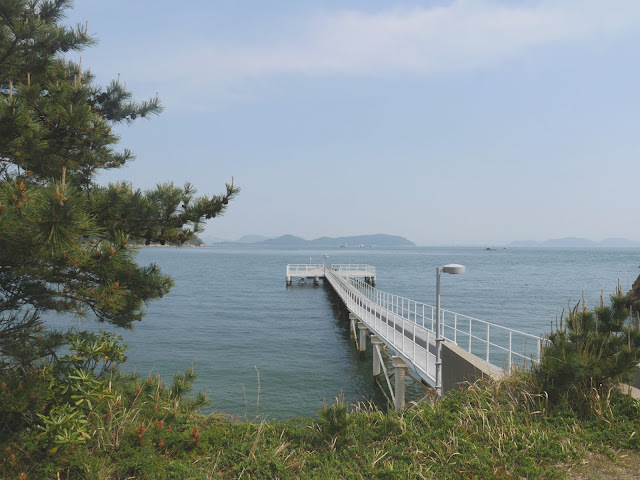 In front of me was a concrete shrine and behind it, pale blue ocean gleaming under the summer sun. I walked down onto the sand that lined the shore and saw what I'd been waiting for, the only thing I knew about, the Yellow Pumpkin that I'd seen in photos countless times. It felt so surreal that I was lucky enough to see it. 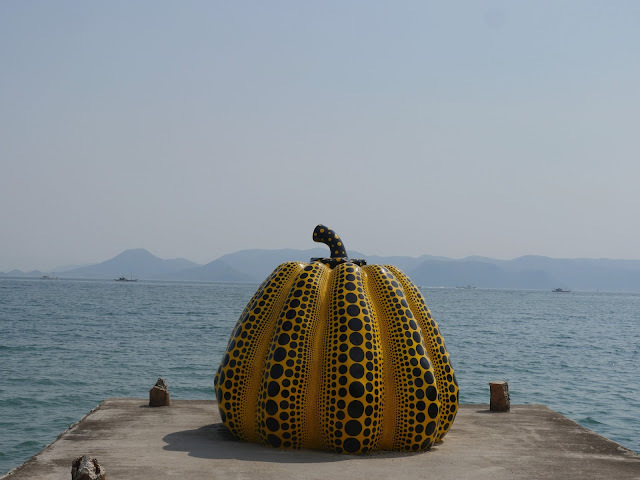 The dotted pumpkin sculpture contrasted with the ocean surrounding it is such an obscure combination, but there's something so peaceful and harmonious about it. 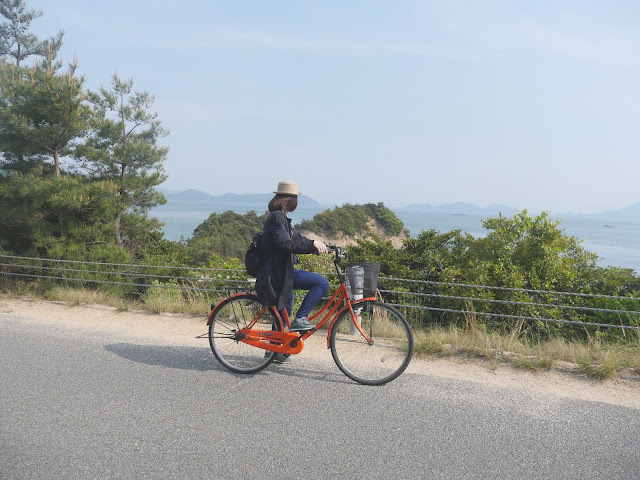 After enjoying the iconic Naoshima view, I walked along the winding road uphill to the gallery, passing more outside sculptures on the way, with sublime views of the ocean encircling the island. That walk to the gallery, surrounded by nature and the occasional cyclist, was one of the most relaxing and serene walks of my life. 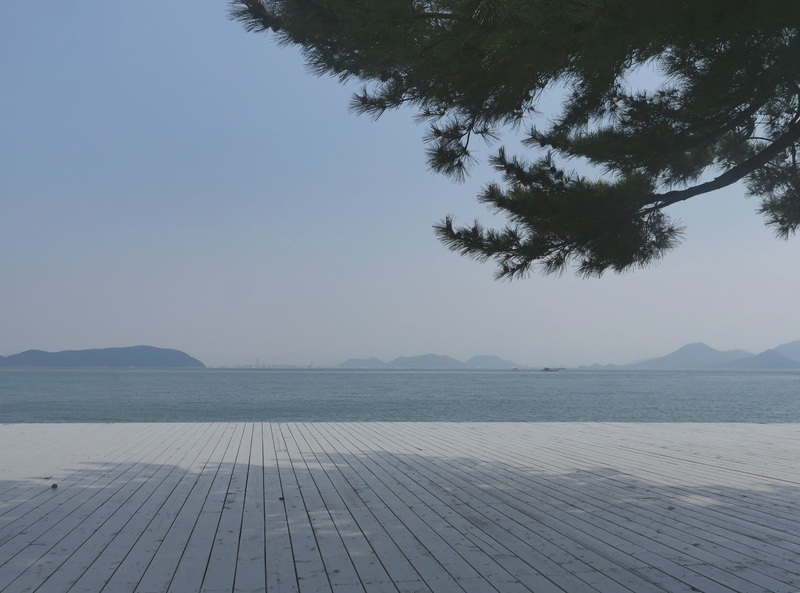 Eventually, after some adventuring and some time watching the ocean melding into the light blue sky, I entered the Benesse Gallery. I walked around without speaking, without trying to break the silence, without taking photos, without internet, and explored the museum deep in my own head, at my own pace, accountable to nobody. Free. I didn't plan that day at all (except the bare minimum) and yet everything fell into place. As if it was always meant to be that way. 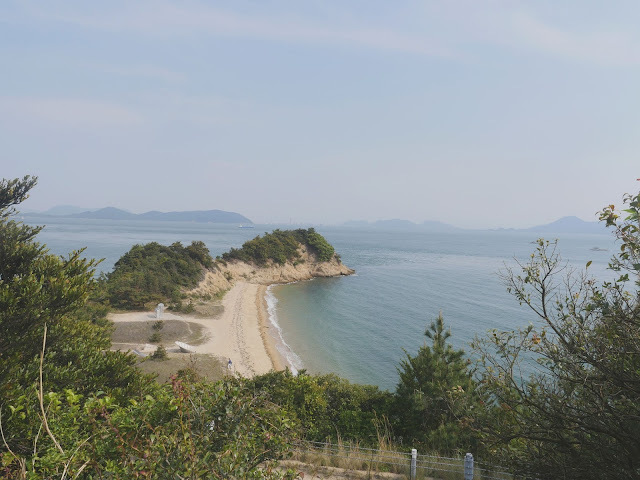 I've also written guides about Kyoto, Tokyo, Miyajima, Hiroshima and Osaka.